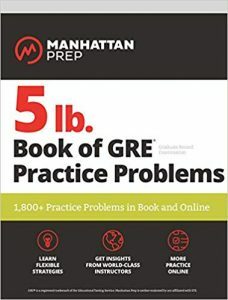 GRE prep books, even from the big prep companies, can be a mixed bag. They often have errors (sometimes LOTS of errors) and most contain problems and topics I’ve never seen on a GRE! The two books I can wholeheartedly recommend are. . .
Or get the kindle version. After all, you’ll have to do all your work on scratch paper during the actual GRE. Might as well start practicing now. BIG WARNING: The problem sets are arranged so that the first 20 or so problems are fairly easy. They are designed to make sure you have a handle on the concept. It’s only the last 5 problems or so that are actually similar in difficulty and feel to real GRE problems. DO NOT make the mistake of just working the first few problems in each section to see if you know how to do it. It won’t give you realistic expectations. The Kaplan book has the best balance between clear explanations of techniques and plenty of practice. Like all the books out there, it has its share of errors, but it has less than most. A kindle version is also available. You can get the plus version, which has a couple of extra practice tests and some other offerings, like mobile access and videos, but, IMHO, all of that is not worth the extra money. 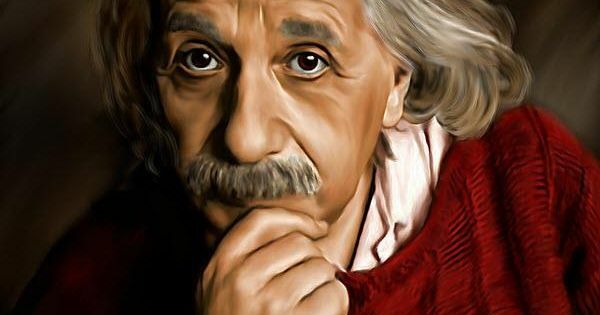 The best GRE practice you will get is the FREE Powerprep tests from ETS. 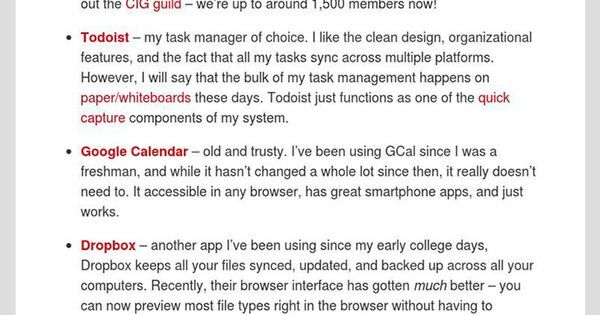 It’s kind of crappy software–you may have trouble getting it to work on your computer–but it gives you two full practice GRE tests that are just like the real thing. There are also two more full GREs you can take online called Powerprep Plus. These will cost you around $40 each. Start here for loads and loads of free GRE vocab words. This list is linked to a super-useful website called. . .
Wordnik is a great website for helping out with GRE vocabulary. Not only does it give you dictionary definitions from 4 or 5 different dictionaries, it also gives you loads of sentences where the word is used in context, as well as synonyms, antonyms, and more. It does all the heavy lifting for you! You can find everything that ETS puts out for GRE students here, including a list of all schools that accept the GRE, the official GRE bulletin, brochures, flyers, at-a-glance publications, and more! The Official GRE Test Prep At-A-Glance includes lots of free practice problems and resources. ETS recently released the newest Snapshot of the Individuals Who Took the GRE® General Test. It gives loads of info on GRE test takers worldwide who took the GRE between July 1, 2015 and June 30, 2016. Want to know what is the average verbal score for German females going into mechanical engineering or the average written analytical score for American males going into psychology? 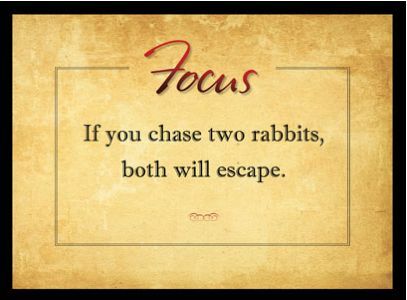 This will give you all that and more! Are there any other resources out there you have found useful? Let us know in the comments! 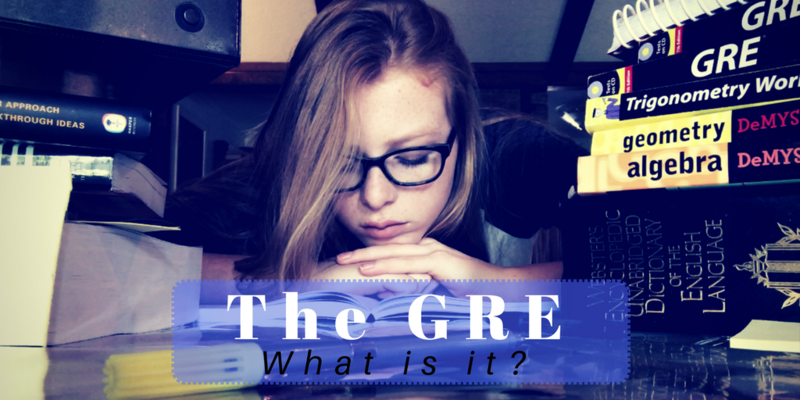 Many grad schools around the world require you to take the GRE—but what is the GRE? And what do you absolutely have to know about it? Thousands of graduate programs around the world want to see your GRE scores before they will consider your application. I first took it back in 1991(!) when it was still paper-based. It’s changed a lot since then. Now, it’s a fully computer-based test (at least in the US). I’ve been teaching GRE prep since 2000. I’ve taught thousands of students one-on-one, in my private classes, and through Texas A&M University. 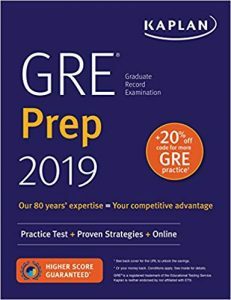 Look here for my list of GRE resources, including recommended GRE prep books, free practice tests, wordlists, and more. The GRE is given as a Computer Adaptive Test (CAT). In some countries, the GRE may be paper-based if the country lacks sufficient computer infrastructure. Take the test at one of many testing centers located throughout the US and around the world. You can sign up for a day and time that is convenient for you. As I write this, the cost for the GRE is $205, but you can see the latest fee structure here. Most graduate schools use the GRE score in their admissions process, much like undergrad programs use the SAT or ACT. The scores are available from ETS (the company that makes the GRE and SAT) for 5 years. It usually takes ETS fifteen days to get your official scores ready after you take the test, BUT you’ll know your scores on the Verbal and Quantitative sections before you walk out the door on test day. Some schools will accept your unofficial scores you report to them. 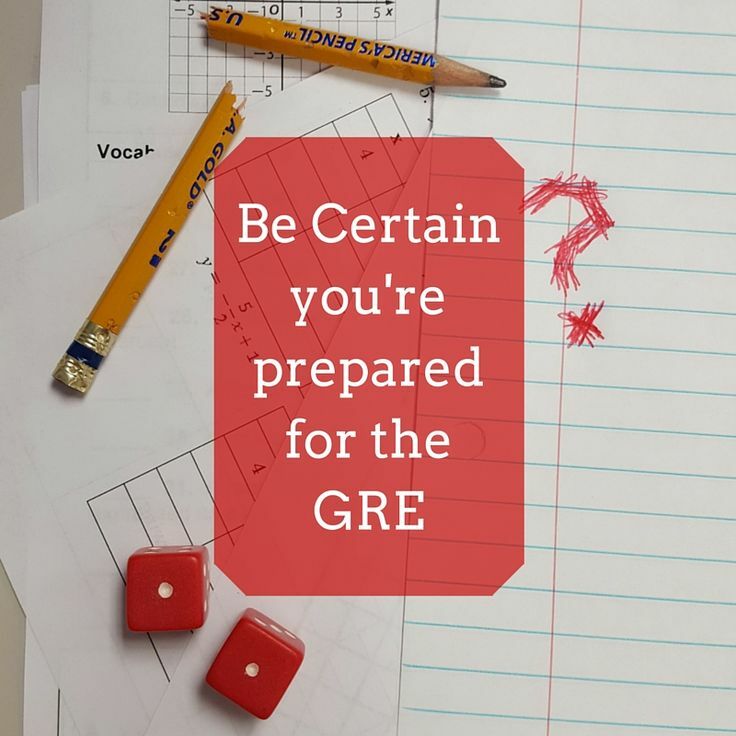 The GRE has seven different sections divided between Written Analytical essays, Quantitative (math) questions, and Verbal questions. The sections get harder or easier based on how well you do. For example, if you get most of the first math section right, then the next math section will be harder. The GRE is scored on a scale of 130 to 170 for the verbal and quantitative sections. 150 is an average score. The writing section is scored on a 0 to 6 point scale in half-point increments. Some grad schools will lump your verbal and quantitative scores together. For example, “Our students should get at least a 306 on the GRE.” Other schools may just look at percentile scores. You’ll have the three sections I mentioned above. The whole thing will take you about 3.5 hours. You can find more details and examples of all the question types here, but here’s the quick overview. . . The essays always come first, followed by either a math or a verbal section. You will have either three verbal OR three quantitative sections. The extra section is an experimental section used to test out new questions. You will not know which section is experimental (don’t waste time trying to identify it), and it won’t count towards your score. 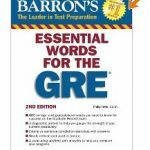 Each GRE Verbal section has around 20 questions and is 30 minutes long. There are six text completion questions in each section. These will have a sentence or two with one, two, or three blanks. You will have from three to five words or phrases to choose from for each blank. Gotta get’em all right to get any credit. There are four sentence equivalence questions in each GRE verbal section. These have a sentence with a blank and six possible words that might go in the blank. You pick the two words that would give the sentence a basically equivalent meaning. Finally, you’ll have around ten reading comprehension passages with questions. The reading passages are from three to 15 sentences long with one to six questions over each passage. Quantitative Comparison questions will give you two different quantities and ask you to compare them to determine if one is larger than the other, the two quantities are equal, or it cannot be determined. Multiple-choice questions are the same as the ones you are familiar with. In this case, the questions will have five possible answer choices to choose from. Multiple-answer questions. These look like multiple-choice questions but will have from 3 to ten different possible answers to choose from. Any or all of the answers may be correct, so you can choose more than one. Numeric entry questions. On these, you will fill in a box with your answer. ETS gives you an on-screen calculator, but it isn’t very good. It’s the sort of calculator you might buy for $3 in the check-out line at Walmart. There are no higher-level keys, such as an exponent key, for example. In the Analyze an Argument essay, they will give you an argument—someone’s letter to the editor, a paragraph out of a newspaper article, that sort of thing—and you will have 30 minutes to discuss where the author should have given more evidence or where they made unwarranted assumptions. You can see all the Argument essay prompts here. The Analysis of an Issue essay is also 30 minutes long. They will give you a topic such as, “Censorship is rarely if ever justified,” and you will have to build a logical, well thought out argument about why you agree or disagree. See all the Issue essay prompts here. For the latest information and news and to sign up for the actual GRE test go to the ETS website. To sign up for a weekend GRE prep class near Texas A&M University in College Station OR to sign up for a live class, taught online anywhere in the world, go here. 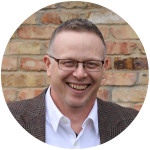 Cody Blair has spent over 18 years researching how students learn and remember most effectively. He helps students apply that knowledge in and out of the classroom. 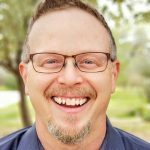 He is the author, instructor, and owner of StudyProf GRE Prep based in College Station, Texas, and has been teaching GRE prep since 2000. 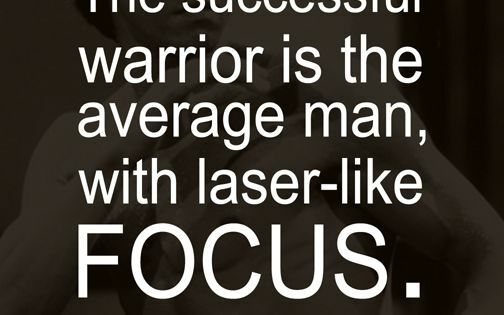 Learn how to stay focused and increase your productivity by avoiding distracting signals. 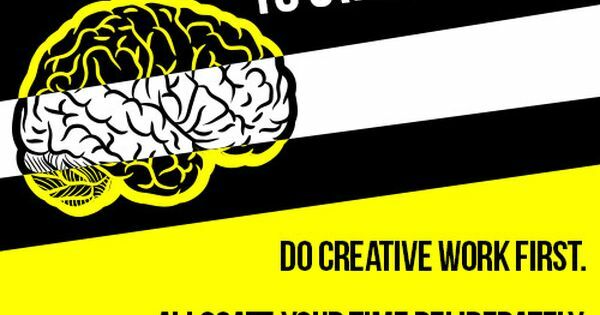 Written for business people, but works for students too! 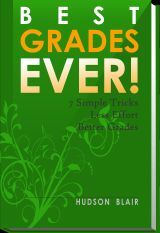 Quick study tips for GRE mastery. How to Study for the Graduate Record Examination (GRE). Quick study tips for GRE mastery. See it here. 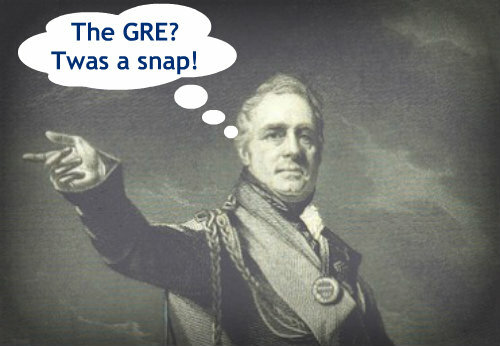 And don’t miss out on the most helpful GRE video ever!